Aren't you tired of using those old regular mugs for your kids already? Then maybe its time for some 'heroic' change. Replace your old boring mugs with @home's fresh collection of groovy mugs. Bring home this trendy Agedup Avengers 250 ml Milk Mug, White and refresh your regular crockery. Let your child enjoy his regular milk sessions with his/her favourite super heroes. Make them finish the entire cup of freshly prepared milk in this high quality ceramic mug. 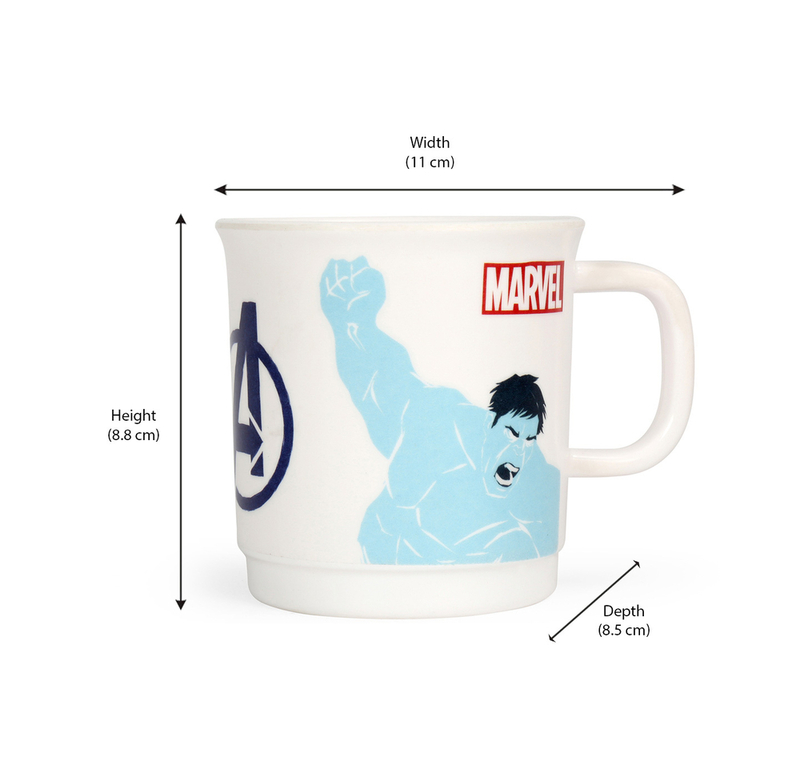 The heroic design imprinted on the mug makes it an ideal choice for adults as well, since we all love avengers too. Sip up your everyday tea or coffee in this fascinating white mug. Upgrade your everyday cutlery with some cute kiddish items to give your diner a divergent look.